Will Smith came to India to dance in a Bollywood movie. He did it. Will Smith, in his brand new episode of Bucket List, says "I have always wanted to be in a Bollywood dance sequence," and he ticked off that box on his list and how! 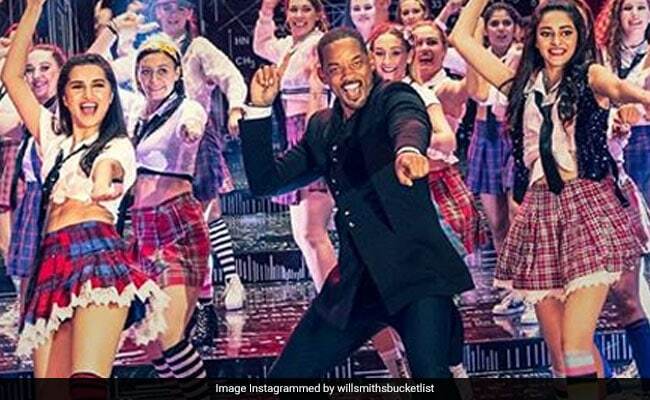 The Hollywood star shared glimpses of the episode titled "Will Smith's Bucketlist: Bollywood Dancing" he filmed in India on social media and it's full on what Bollywood stands for - entertainment, entertainment, entertainment. When in India, Will Smith took auto rickshaw drives across the busy streets of Mumbai, brushed up his Bollywood lessons with none other than Ranveer Singh and Karan Johar, and last but definitely not the least, actually scored a role in a Bollywood film. 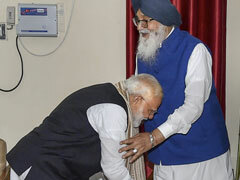 Looks like he just joined the batch of Students Of The Year 2. When you're exploring India, there's only one way to get around Watch @WillSmith tuk tuk his way to Bollywood on FINALE of #WillSmithsBucketList! The Bucket List episode has glimpses Will Smith accepting Karan Johar's invitation to feature in a dance sequence in Student Of The Year 2 and taking dance lessons at Yash Raj Studios and then this happened: "I elbowed somebody really hard in the chest trying to get the flute up and I really want to apologise but I don't know who that was... the moves got like a little bit of a different flavour!" Well, as per Will Smith's own admission: "The thing about dance is I can't dance." But we'll just skip to the climax of the episode, in which he describes Student Of The Year as the "Bollywood version" of Hollywood's concert film Glee. And next thing you know he walks on to the sets of SOTY 2 and dances his heart out (just like any Bollywood hero) with Tara Sutaria, Tiger Shroff and Ananya Panday to a reprised version of Radha. Will Smith's takeaway from his dose of Bollywood: "I got a really good sense of what Bollywood is all about... I was whole lot harder than I thought it would be but it was a total bucket list moment. I have been in this business for over 30 years and this moment right here reconnected me back to why I do this! Other hilarious moments from the episode include Ranveer Singh's grand entry to Will Smith's room and when he explained to the Hollywood actor what a "paisa wasool" movie is. Will Smith also danced to Tatad Tatad and described Ranveer Singh as "one of India's most colourful movie stars." Aww. Student Of The Year 2 releases in May and we can't wait to see Will Smith's Bollywood thumkas.